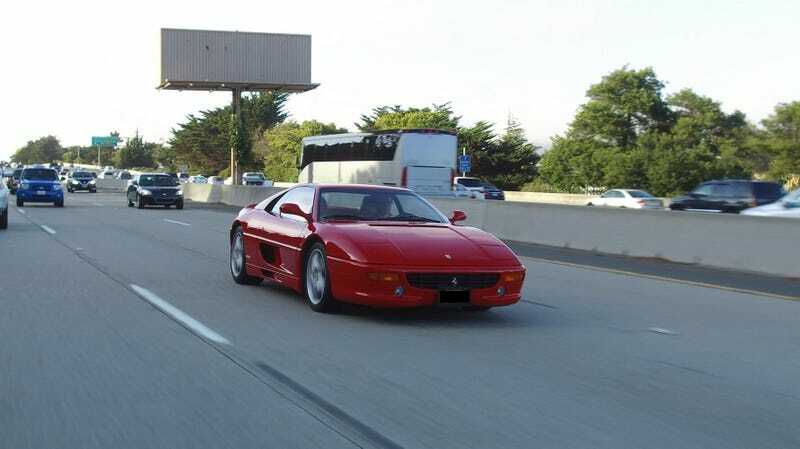 One of the best ways to see an exotic car is out on the road, next to normal cars. IMO it’s much more impressive than seeing it at a car show or even at an exotic car gathering. My videographer kindly provided me with all the raw footage from our August video shoot. First, 4K DSLR video is incredible. Second, gimballed cameras are amazing, making expensive dollies and chase cars unnecessary for many outdoor scenes. It still blows my mind that this is a screenshot. Taken on I-280 in South San Francisco.